There is not much more to say today other than "He is risen!" Amidst time with family (perhaps with a side of chocolate?) 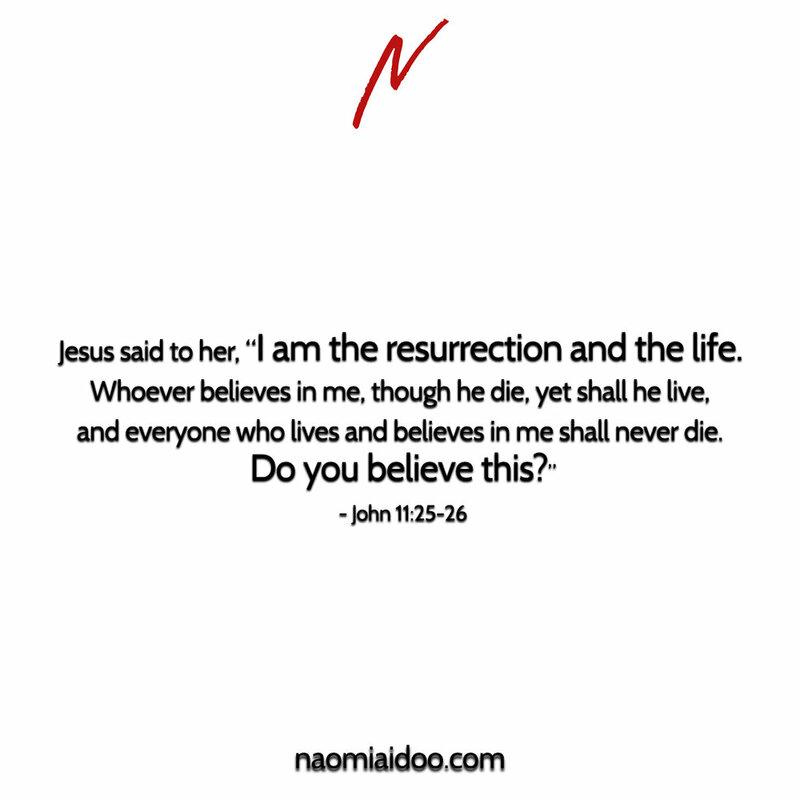 today, take some time to praise God for His resurrection - for dying and rising again that you might LIVE! This is SUCH good news. How has this good news changed your life? Your words, thoughts and actions? How will it continue to do so? It has been both refreshing and humbling to meditate on God's word and sit at His feet this week. He's both challenged me to the point where it's been hugely uncomfortable, and also reminded me of His unrelenting love. My life is changed once again - like it always is when I intentionally carve out time and space with Him. I hope you've enjoyed the journey this week. Regularity resumes tomorrow... except, it won't be so regular. God has a way of doing things like that, huh? What about you? How has this week shaped your next week? Time to live it out!